Results 1 - 12 of 12 for "149"
Description: Carved limestone panel with three figures. 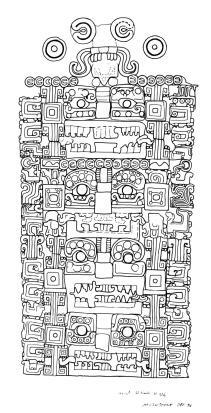 the central figure, k'inich k'an joy chitam ii, stands in a dancing posture holding aloft a serpent-footed axe and wearing the shell ear-piece of gi. his father, k'inich janaab pakal (right), and mother, lady tz'akbu ajaw (left) sit flanking him. 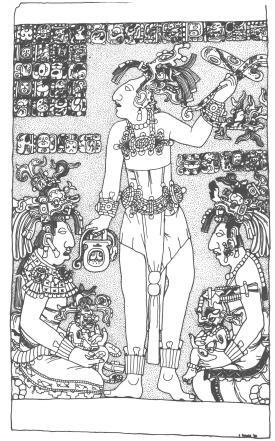 pakal holds a small, full-figure k'awiil and lady tz'akbu ajaw holds a personified jester god. the text records an anniversary of the death of his ancestor, k'an joy chitam i. Notes: Dn of 4.7.0 moves forward to the anniversary lc of 9.11.4.7.0. cr of 9 manik 5 muwan yields a probable 9.14.11.2.7, some three years after k'inich k'an joy chitam ii's capture by tonina (see sd149). schele (1980:308) notes that there is no firm association between the panel and palenque; the panel may have come from a nearby site. 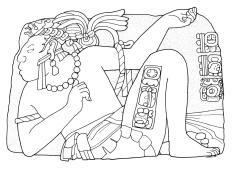 See Also: Schele Photos for "149"
Description: Monument 122. k'inich k'an joy chitam ii, named as lord of palenque in text on leg, is shown in the bound posture of a captive. the secondary caption records a date and a star war event that suggests the palenque ruler was captured by tonina. Notes: Found near structure e5-11, tonina. 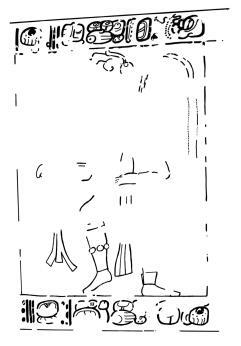 the cr of 13 akbal 16 yax yields 9.13.19.13.3. the exact impact of the capture of k'an joy chitam ii of palenque remains unclear; however, the next accession recorded at palenque was not until 9.14.10.4.2. Notebook for the XVIIth Maya Hieroglyphic Writing Workshop 1993:126. Description: Capstone 1 from northwest chamber, east building, nunnery quadrangle. 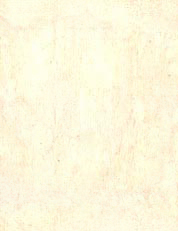 shows dancing figure surrounded by text. Description: Sketch of west building, nunnery quadrangle, in nineteenth century before restoration, after charnay photo. Description: Door 6, west building, nunnery quadrangle. 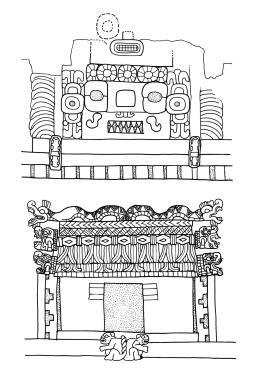 mask stack over doorway showing serpent tail and head carrying headdress. Description: Easternmost mask stack from north building, nunnery quadrangle. outer frame decorated with foliation. 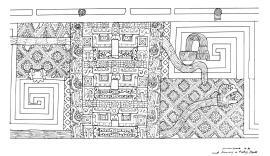 Description: Snake house and upper masks on door 3, north building, nunnery quadrangle. Description: Mask stack from north building, nunnery quadrangle. mask with cloud signs in its outer frame (its pair on the eastern end of north building no longer exists). 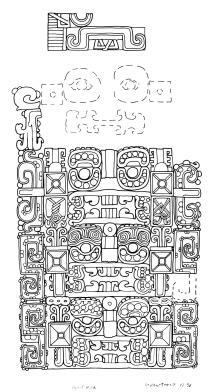 Description: Leg #13, atlantean altar, upper temple of the jaguar, great ballcourt. Description: Scenes from two different vessels depicting kan-te-ahaw and the bearded jaguar god. 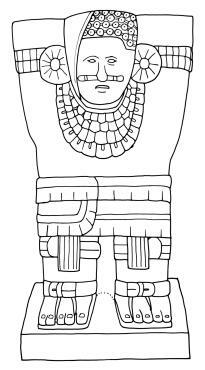 one shows kan-te-ahaw throwing a stone tied with rope into the jaguar god's belly. the other shows kan-te-ahaw holding a torch ready to burn the bearded jaguar god.